The morning was spent in the South Court Auditorium deep within the OEOB. The crowd, which came from 15 states in all four continental time zones, was treated to 20-30 minute snippets with a diverse group of administration officials, highlighted by Q&A periods with each. 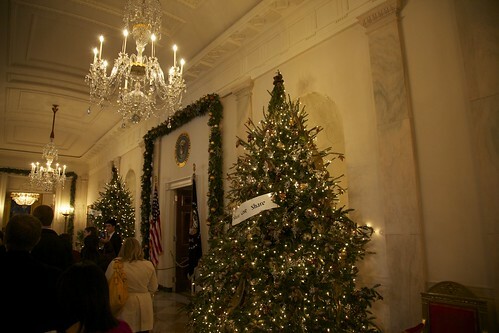 After some quality time with Macon Phillips, Aneesh Chopra, Christina Tchen, and others, and a break for lunch (off-site, not at the canteen at the White House, sadly) it was off to see the White House’s Christmas decorations which went up in the week following Thanksgiving. 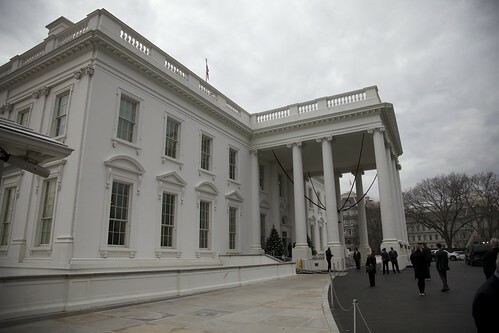 There’s a moment in the tour of the White House (and it would be different for each visitor, I suspect), when the place memory of the White House begins to settle in and you want to walk your way back to the beginning and see it all again. You take in the Vermeil Room, or the Green Room, or the Blue Room, and then suddenly you’re thinking about Eleanor Roosevelt having tea there, or Thomas Jefferson moving into the building for the first time in 1801. 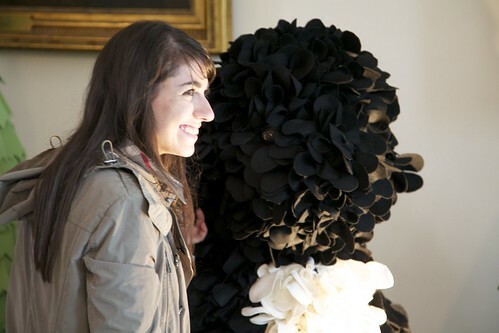 For me, that moment came on leaving the State Dining Room. 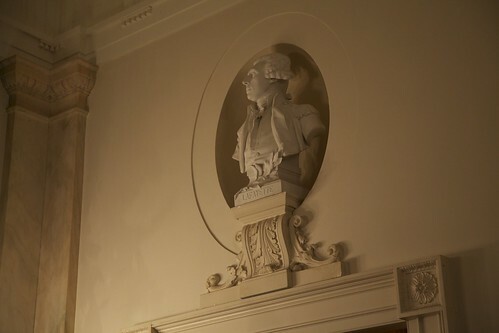 I looked up, with the choir singing a Christmas carol, and saw a bust of Lafayette in an alcove high above the fray. How the sculpted wig of a Frenchman brought me back to the earliest days of the United States and forward through two hundred plus years of history, I’m not entirely sure, but there I was, standing slack jawed in the Cross Hall. 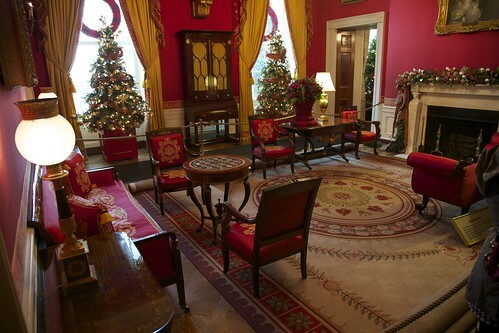 The beauty of the White House isn’t accidental. Men and Women work very hard, for very long hours, to put care and intention into every single object in every single room. 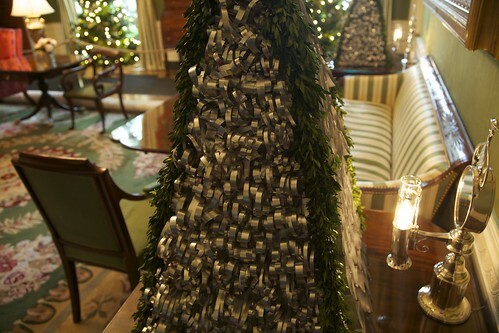 Each medal on the tree in the Blue Room reminds us of those soldiers and sailors who will spend their holidays deployed in harm’s way. Each pillar of white chocolate on the four hundred pound gingerbread model of the White House reminds of the kitchen staff that started in September to build the confection model. 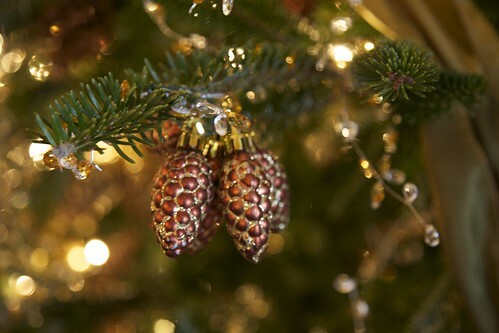 Each carefully placed bough of pine and mistletoe is the work of one of many volunteers and paid staffers who keep the beating heart of Washington DC moving. It’s been a rough year for me, and my relationship with this city has taken a harder turn. Where once I could see no wrong, the chinks in the façade have grown more and more prevalent, the result of scandal and proximity. This was the sort of uplift that I needed after a year of broken promises and frustrations. 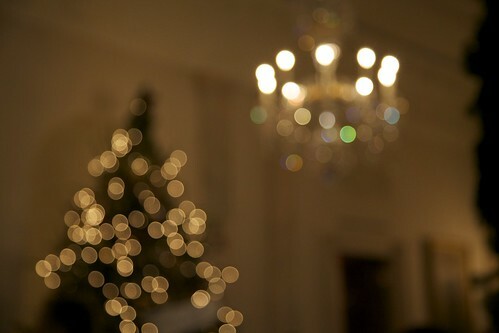 The holiday decorations at the White House to me represent the incredible care that people can demonstrate trying to make this city the jewel in the nation’s crown. Would that we could see more of it. Below are some favorites, or you can peruse the whole of the set.